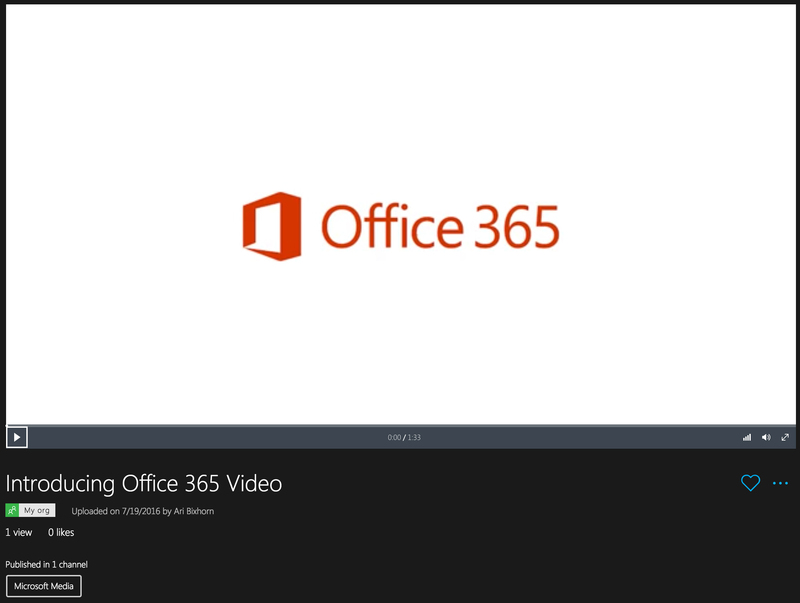 Office 365 Video is Dead! 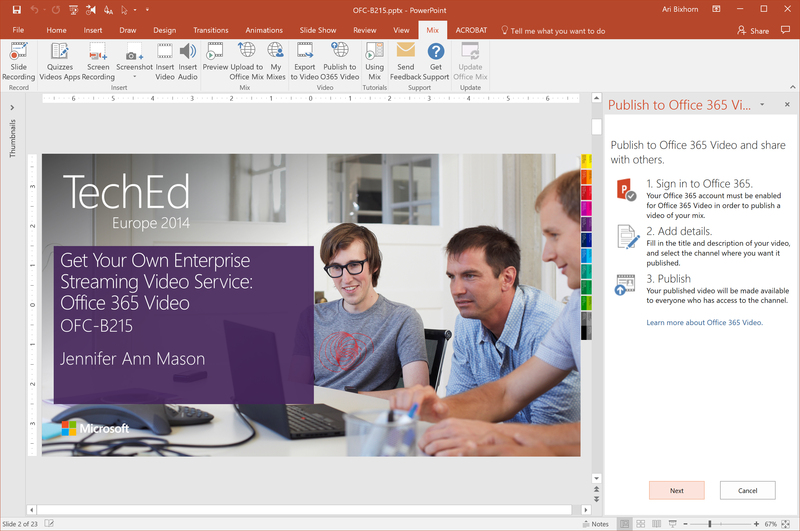 Long Live Office 365 Video! We review and analyze Microsoft's curious re-entry into the enterprise video platform market with Microsoft Stream. If the products sound strangely similar, then you may just want to skip ahead to the punchline. Otherwise, read along as we examine what’s new and what’s not in Microsoft Stream, and look ahead to where the product is going. Then, we’ll ask the big question that should be on the mind of every business considering an investment in Microsoft’s video platform strategies. 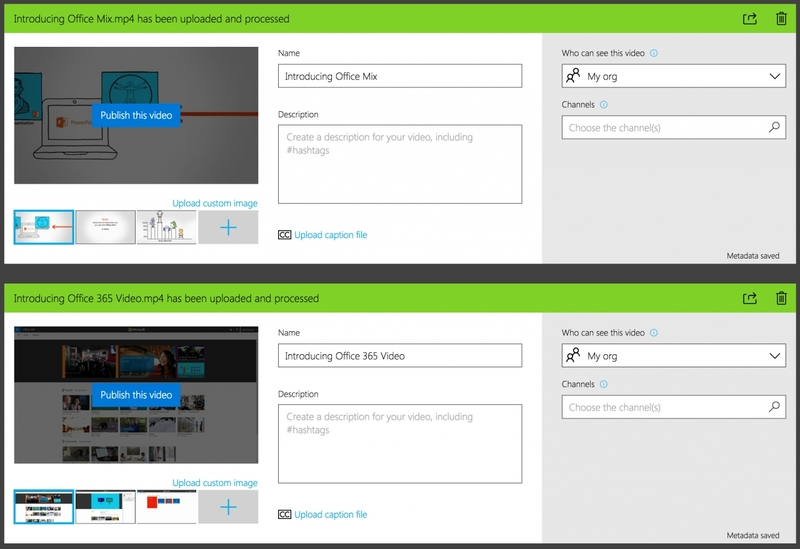 Microsoft Stream is a portal for uploading and sharing videos within your organization. You simply sign up with your work or school email address, invite other people from your organization to join you, and start sharing video content. Video files can be uploaded individually or in bulk. Stream supports a range of media file extensions (.mov, .avi, .mp4, .mpg, .flv, etc) and codecs. Once uploaded, videos are automatically transcoded for playback on any device. Stream integrates with Azure Active Directory, enabling you to make videos private (accessible only by the owner), viewable by anyone in your organization (the default setting), or available only to specified users or groups defined in Azure AD. Once videos have been uploaded, owners can edit the video title, add a description, select a thumbnail, add hashtags, and upload caption files in WebVTT format. Stream uses the concept of channels to group videos into related playlists. Users can add videos to channels and also subscribe to channel content. In addition, users can create a watchlist channel of videos that then appears on their Stream homepage. In the Stream preview, video search functions in much the same way as it does on YouTube. Namely, users can find videos based on manually-entered metadata, including the title, description, and tags. Uploaded videos can be played directly from within the Stream portal, or they can be embedded in other sites. Note that to play back an embedded video, the portal needs to be internal to your organization, and needs to use Azure Active Directory for identity and access management. At the time of this writing, Stream is effectively a password-protected version of YouTube. Its functionality is rudimentary when compared to the capabilities of an enterprise video platform. In the last three years, Gartner has covered this space extensively in its Magic Quadrant for Enterprise Video Content Management and related Critical Capabilities reports. In the reports, Gartner evaluates the requirements of the enterprise video platform market, and how vendors’ products stack up. In addition to serving videos to internal audiences, businesses increasingly need to stream outside the corporate firewall to partners, customers, and the public. Typically the videos are streamed across content delivery networks (CDNs) like those provided by Akamai and Amazon Web Services. Currently, videos hosted in Stream can only be shared with internal co-workers. While more and more organizations are moving their infrastructure to the cloud, video platform vendors need to offer choice in how their products are deployed. Specifically, video platforms should support cloud hosting, private cloud installations, and on-premises deployment. Currently, Stream only supports cloud-based hosting. Over the last few years, the lines between video content management and video creation have blurred. Most vendors in the space have integrated screen and video recording tools into their offerings, enabling users to capture and then automatically upload screencasts, video presentations, events, and lectures. The Stream preview includes no video creation tools. 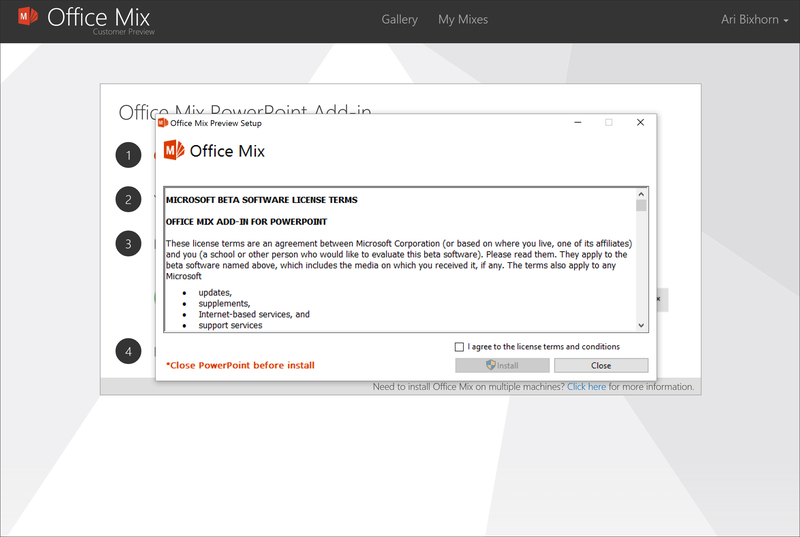 In addition, Microsoft’s existing presentation recording tool, Office Mix, doesn’t support publishing to Stream. Lightweight, web-based video editing has become a standard feature in enterprise video platforms over the last three to four years. These editors typically include the ability to trim the top and tail of videos, cut sections from within a video, split long videos into smaller clips, splice multiple videos together, add chapters, and synchronize audio or video recordings with a slide deck. Stream doesn’t currently include a video editor. Like any other content shared within an organization, video can become siloed and undiscoverable if it’s not integrated with the apps and portals that employees already use. Most of the video platforms covered in Gartner’s research support integration with some combination of 3rd-party content management systems (CMSs), learning management systems (LMSs), customer relationship management (CRM) services, enterprise social software, and a range of identity providers. Currently, Stream integrates with Azure Active Directory for credential management but doesn’t provide built-in integration with other apps and services. As described above, Microsoft Stream currently provides YouTube-like search capabilities in their standard Office 365 add-on, in which videos can be searched based on their title, description, and tags. This, however, is insufficient for enterprise video search. The reason is that many enterprise videos, such as instructor-led training sessions and internal town hall events, are often 15 to 60 minutes in length. Most of the time, employees don’t need to watch the entire video. Rather, they’re searching for a specific, 2 to 3-minute segment inside the video that contains relevant information. For this, video platforms typically support a range of inside-video search capabilities, including automatic speech recognition (ASR), optical character recognition (OCR), slide ingestion, caption-based search, and more. These technologies enable users to find and fast-forward to precise moments in any video hosted on the video portal. Now, by purchasing a top-tier Enterprise Office 365 subscription or a separate Stream plan, you can add ASR transcription to improve the service’s search capabilities to include the words spoken within a video. Stream, however, does not currently do OCR or slide-ingestion to also give you the ability to search words shown in a video. Many of the videos shared within organizations today fall into one of two categories: learning videos or internal communication videos. In either case, the ability to track viewing behavior through analytics is critical. Currently, Stream only provides a simple count of how many times each video has been viewed. Not yet included in the product are reports on video views by user, drop-off rates by video, and completion rates using SCORM. Within training videos, instructional designers often want to introduce interactive elements such as quizzes to assess knowledge retention. Similarly, within internal communication videos, it’s often valuable to include polls and surveys. As a result, many video platforms now include the ability to embed interactive functionality that is surfaced during playback. Currently, Stream doesn’t support quizzes, polls, or other interactive elements. Most enterprise video platforms come equipped with basic governance functionality, such as the ability to automatically archive videos after a given date. Similarly, many organizations require videos to go through an approval process before they’re made available for viewing. Currently, Stream doesn’t support approval workflows or time-based archiving. Among corporate communications professionals and events teams, live streaming is the number one use case for enterprise video. As a result, nearly every major video platform on the market provides some capacity for webcasting video presentations, town hall meetings, and events. Although the product name hints at this capability, live streaming isn’t currently supported in Stream. Although Stream’s current capabilities are negligible when compared to the requirements of most enterprises, Microsoft is bullish about the future. Live Streaming: For more information on the type of capabilities that Microsoft may introduce, click here. Integration: Microsoft sees a great opportunity to integrate Stream with “other business apps like PowerApps, Microsoft Flow, and SharePoint.” They may also want to consider some 3rd-party apps like Salesforce, Jive, learning management systems, and web conferencing tools. Developer APIs: Stream will enable businesses and partners to extend the functionality of the platform through a collection of developer APIs. IT Management: Microsoft “recognizes the critical role IT plays in managing content and user access to internal content.” Based on its recognition that features like user and channel provisioning, group management, and content moderation are all critical, the company has chosen to initially release Stream without this functionality. Beyond the features planned for upcoming releases, the bigger question about Stream’s future is how long it’ll survive Microsoft’s meandering video strategy. Will Stream suffer the same fate as Office 365 Video—announced to great fanfare only to be effectively sunset 18 months later? Or the fate of Office Mix—still in the Customer Preview stage (i.e. not yet a beta release) more than two years after its launch? Maybe it’ll last as long as Silverlight or Expression Encoder—two media products with great promise that ultimately fell victim to the now-infamous warfare among Microsoft fiefdoms. Office Mix – Announced May 2014. Still in Customer Preview July 2016. If there is a sincere strategy to converge these offerings into an integrated video content management system, it’s not on display. After all, two teams within the same company have independently built two variations of the same product and released them within 18 months of each other. Over the years, there have been many jokes made about the instability of Microsoft software. The fundamental concern with Stream, though, isn’t about the stability of Microsoft’s code. It’s about the stability of the organization. The worst-case scenario for Stream isn’t that you use it and it breaks. It’s that you begin to depend on it, and then it disappears one day based on the next zag in Microsoft’s media strategy. Similar directional changes with Expression Encoder and, infamously, Silverlight have left many businesses dependent on products Microsoft will no longer support. Then again, maybe Microsoft will surprise us and emerge as a serious contender in the video content management space. If they manage to stick with Stream, and they continue to methodically implement features of the already-established Microsoft Stream alternatives, then the software company from Redmond may just stand a chance.